Located in sought after Trousdale Estates in Beverly Hills, this property boasts city views all the way to Catalina island. Renowned Trousdale Estates was once known as Doheny Ranch, or the Doheny Estate which included the Greystone Mansion, home of Edward L. Doheny Jr. (son of oil tycoon Edward L. Doheny) and the owner of the Doheny Estate, his wife Mrs. Lucy Smith Doheny Battson. In 1954 Paul Trousdale, a real estate developer purchased the land, excluding the historic Greystone Mansion, for development. Paul Trousdale developed the land and using quite notable mid century architects, such as Wallace Neff, Paul R. Williams, Richard Neutra, A. Quincy Jones, Frank Lloyd Wright and Harold Levitt. Stylish Architectural newer construction (2006) Franklin Hill's home. This bright and spacious home exudes the modern style of today's family living. As you walk into the home you notice the abundance of natural light, bamboo flooring, soaring ceilings, and an open floor plan that leads you to the adjoining deck with city light and tree top views. Entertainer's kitchen with stainless steel appliances, large island with additional seating, recessed lighting, pantry/laundry room, dual paned windows with custom window blinds and dining area open to the substantial living room with fireplace. Moving downstairs, there are 3 large bedrooms, an open play lounge, and an office, all with new bamboo flooring. The Master suite has a walk-in closet and French doors that lead to the newly designed and landscaped drought tolerant backyard. 2 car attached garage, additional parking and located within the coveted Franklin School District. 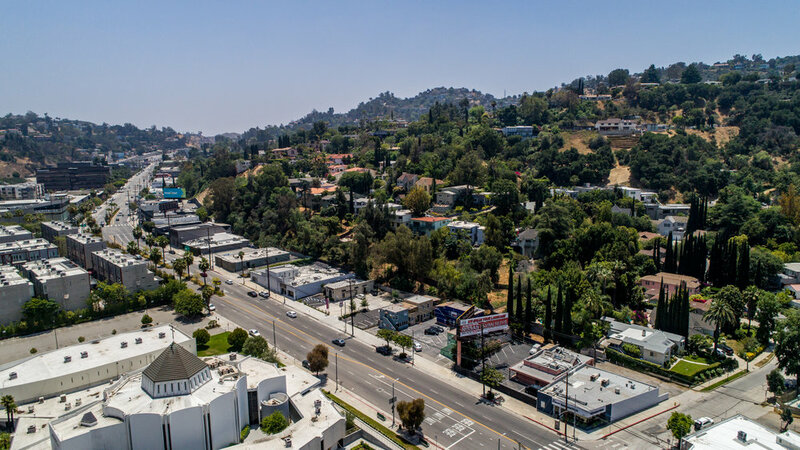 Centrally located to Hyperion shops and restaurants, Sunset Junction, Los Feliz Village, Griffith Park, and Silver Lake. For more homes like this one, contact us!